With the clanking of chains, the ghost of Jacob Marley loomed up before Ebenezer Scrooge. Wrapped in a grotesque array of ledger, deeds, and contracts, the frightening apparition bore warning of the fate which awaited Scrooge as punishment for his miserly ways and his disdain of the Christmas Spirit. Yet Scrooge could save himself. On three successive nights, he would be the object of more ghostly visitations, each of which would teach him something about himself, the world he lived in and his wasted life of greed. Charles Dickens 'A Christmas Carol is the moving story of Ebenezer Scrooge's reformation. 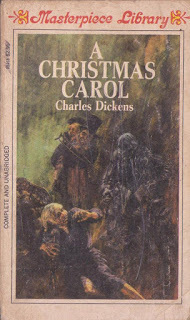 Told with all the imagination and charm that make Dickens forever popular, the account of Scrooge's conversion from miser and misanthrope to humanitarian and philanthropist also has a moral relevance that extends far beyond its setting in the yuletide season. 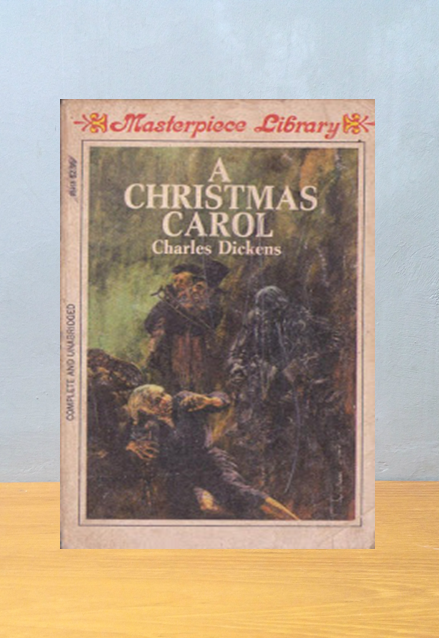 Written in 1843, when the author was 31, A Christmas Carol is perhaps Dickens' most widely read tale. Filled with warmth, humor, compassion and irony, over the past century, it has become as much a part of christmas as holly and ivy.